Where is Biblical Bethsaida? One contender is the site of et-Tell, a mile and a half north of the Sea of Galilee. Photo: Duby Tal and Moni Haramati, Albatross/Courtesy of Bethsaida Excavations. The ancient village of Bethsaida is believed to be located on the northern shore of the Sea of Galilee, but where precisely the abandoned city lies remains a fiercely-debated question among scholars. Recent discoveries at the site of el-Araj have called into question the decades-old claim that et-Tell on the eastern shore of the Jordan River is this lost Biblical city. Along with Jerusalem and Capernaum, Bethsaida is frequently mentioned in the Gospels. When Jesus was first calling his disciples, he traveled to Galilee and found there Philip, who is described as being of Bethsaida along with Peter and Andrew (John 1:43-44). The town—including its nearby shore—is identified as the location where Jesus performed some of his most indelible miracles. Here he led a blind man away from the village, restored his sight, and instructed the man not to reenter the town nor to tell anyone of the miracle he had performed (Mark 8:22–26). Bethsaida is also said to be the fishing village where Jesus fed the masses with just five loaves and two fish (Luke 9:10–17; Mark 6:30–44). Since 2014, a team led by Mordechai Aviam, Dina Shalem, and Notley under the auspices of the Center for Holy Land Studies (CHLS) and Kinneret College has conducted survey and excavation at el-Araj, another proposed site for the location of Bethsaida. As reported in Haaretz, the 2016 excavations revealed evidence of early Roman occupation from the first through third centuries C.E., including a Roman-style bathhouse, mosaic fragments and a silver coin from 65–66 C.E. portraying Roman emperor Nero. The new evidence shows that, despite assertions by Arav and others,3 there is significant Roman-era material culture at el-Araj. Aerial view of the 2017 excavations at el-Araj, another candidate for Biblical Bethsaida. Photo: Zachary Wong. Pieces of the Roman tile mosaic found at el-Araj. Photo: Dr. Mordechai Aviam. As it stands, archaeologists from two separate sites now claim to be excavating Biblical Bethsaida, and both boast historical and archaeological evidence to support their case. Only further survey and excavation of the northern shores of the Galilee and discourse among the scholarly community can begin to elucidate this predicament of identity. Samuel Pfister is an intern at the Biblical Archaeology Society. 1. Rami Arav, “Bethsaida—A Response to Steven Notley,” Near Eastern Archaeology 74, no. 2 (June 2011), pp. 92–100. 2. Steven Notley, “Et-Tell Is Not Bethsaida,” Near Eastern Archaeology 70, no. 4 (December 2007), pp. 220–230; Steven Notley, “Reply to Arav,” Near Eastern Archaeology 74, no. 2 (June 2011), pp. 101–103. 3. Rami Arav, “A Response to Notley’s Reply,” Near Eastern Archaeology 74, no. 2 (June 2011), pp. 103–104. 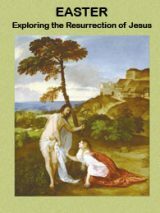 Rami Arav, Richard A. Freund and John F. Shroder Jr., “Bethsaida Rediscovered,” Biblical Archaeology Review, January/February 2000. Steven Feldman, Sidebar: “The Case for el-Araj,” Biblical Archaeology Review, January/February 2000. This Bible History Daily feature was originally published on August 30, 2017.